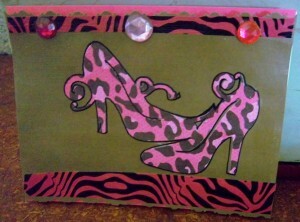 My lovely friend T celebrated her birthday recently and hosted her own party with a shoe theme. 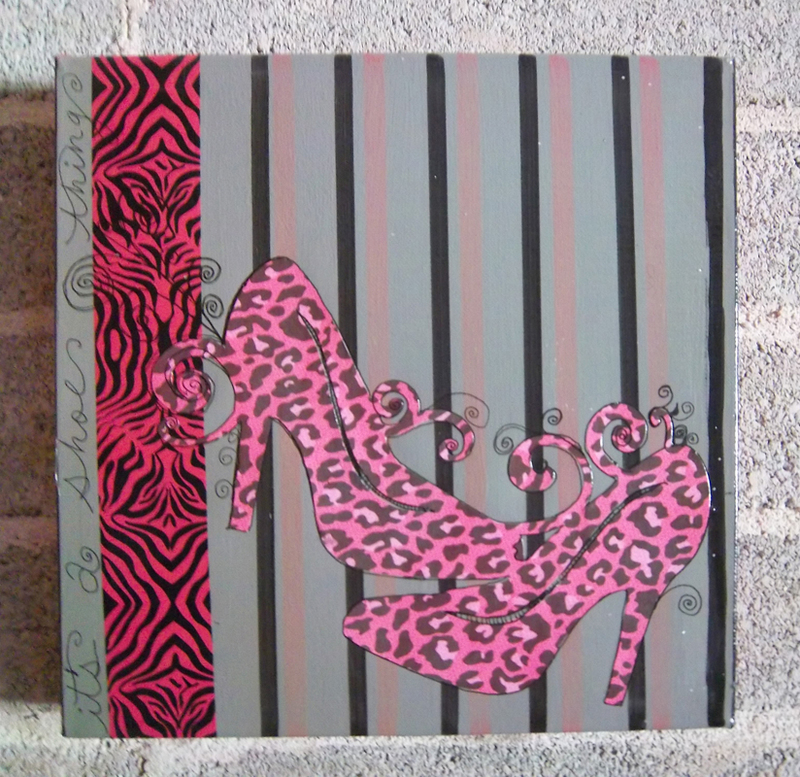 The night was filled with ladies, champagne, good food and all things shoes. In honor of the event I created a painting for her using the theme. I also made a companion card to go along with the art. 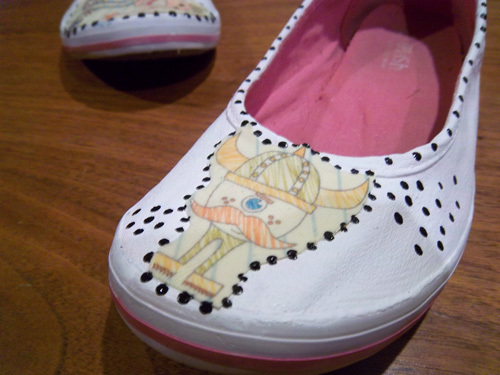 It was a fun project! 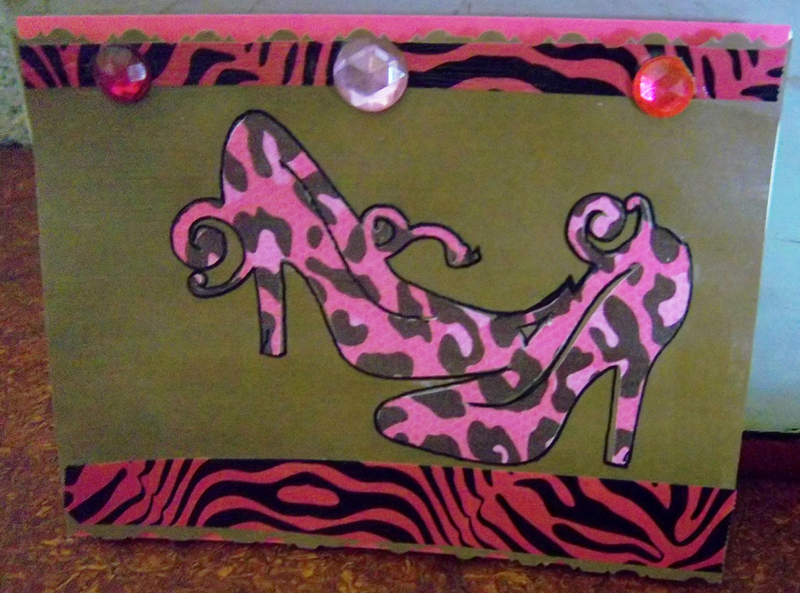 The shoes were cut out at different sizes using my Cricut out of pink cheetah print paper. 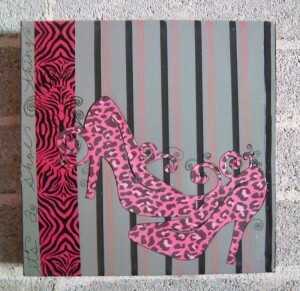 The pink zebra print is Duct Tape. The Halloween decorating projects continue. 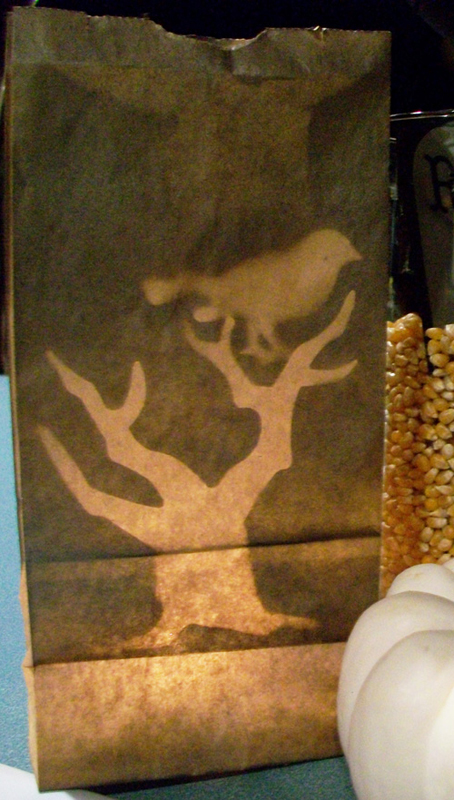 For today’s installment I created paper bag luminaries by cutting the bird and tree shapes out using my Cricut. I laid the shapes down onto the brown bags and then coating them with a dark grey spray paint. These are filled with sand and tea lights and will line the driveway on Halloween night. For more Halloween click HERE. I LOVE the newest Imagine Cartridge called Notebook Doodles. Oh what fun I had. 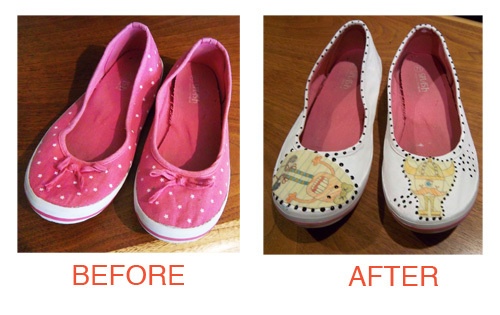 I took an old pair of shoes, used white Gesso to cover them, allowed that to dry. I printed the little character designs onto iron on transfer paper. 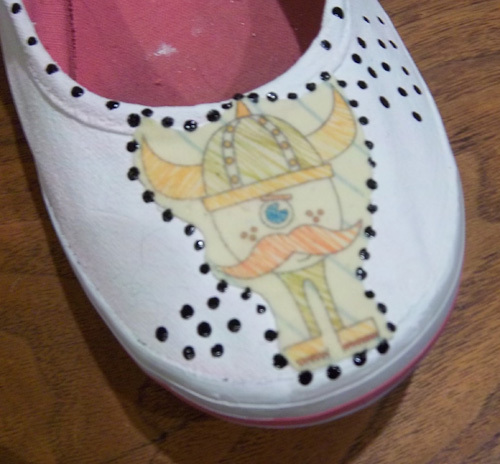 I then cut up the iron on paper and transferred it on to yellow cotton fabric and attached these patches to the shoe with glue. I then used Ranger Enamel Assents in black to outline the patches. 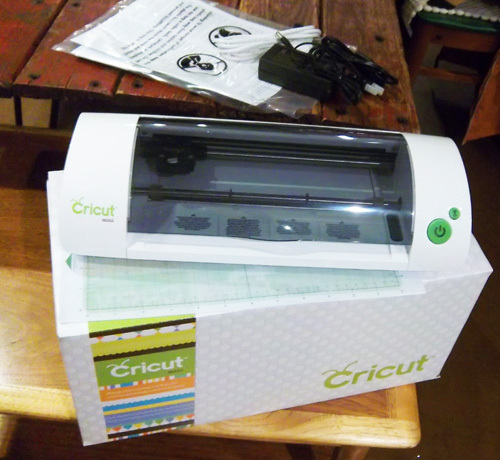 The Cricut Mini arrive today! Time to set it up and start playing! 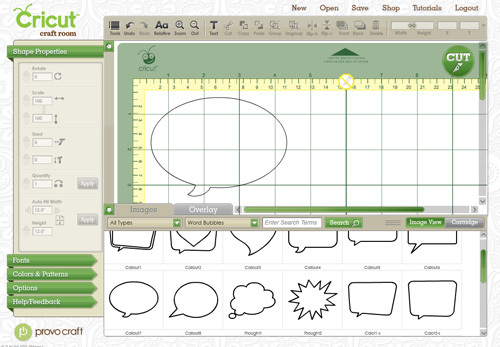 I have the Cricut Craft Room set up and have been using it with my other Cricut’s. Looking forward to test driving this little thing. It is for 8 1/2 x 11. 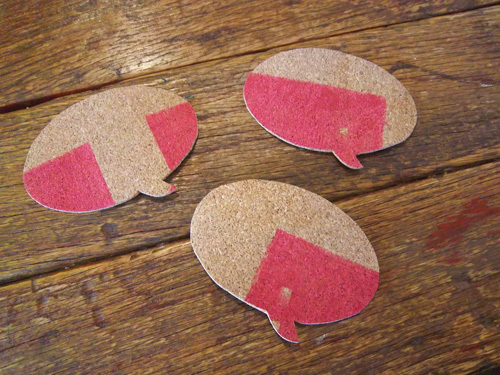 I used the Craft Room Exclusive Cart called Word Bubble to make Coasters. 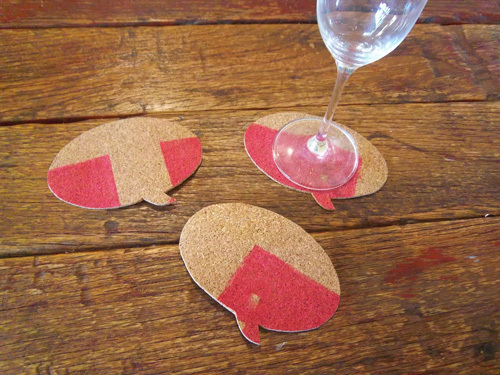 I cut out the bubble shape from some left over pieces of cork that I had previously screen-printed on with the YUDU. I am making a ton of these and packaging them as holiday gifts. Who doesn’t need coasters? Perfect for holiday parties! Click for Word Bubbles PDF!